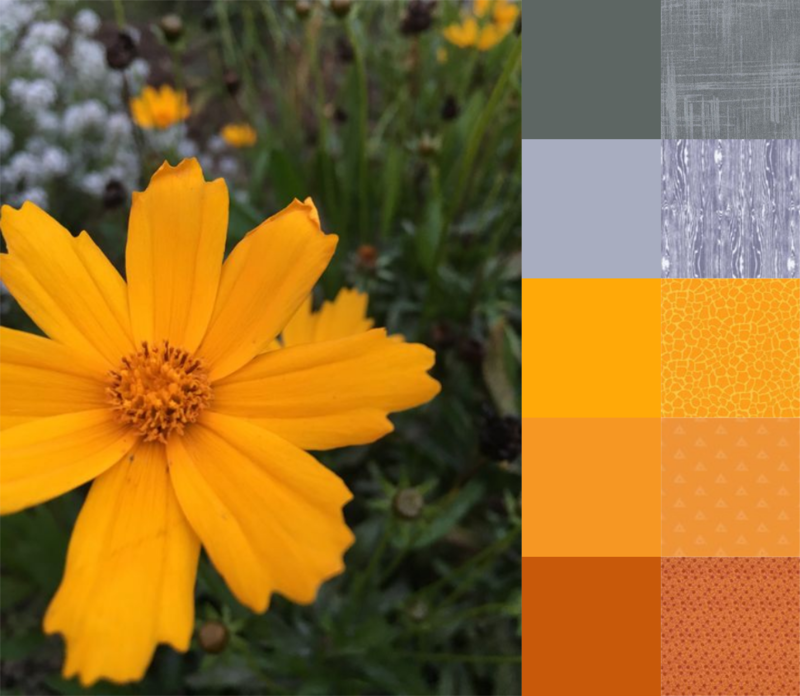 Color Play Friday (CPF) is a fun weekly challenge hosted by Trina from In an Otter Life and Lorinda from Laurel, Poppy and Pine where they provide one of their photographs as inspiration and then all the participants create a color palette and fabric bundle based on the photo. 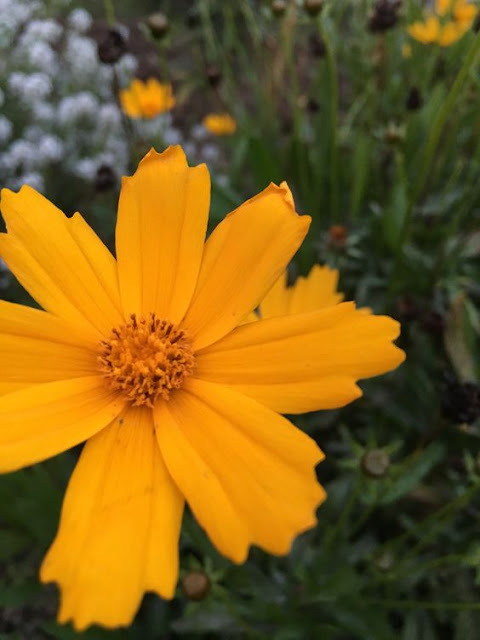 This week's photo is called "Late Summer in My Garden." I have to laugh because I told Lorinda that I really struggle with the color orange and she joked that we may be seeing more orange-y photos in the coming CPF challenges. I guess she was serious! So yeah, I struggled with this one. A lot! Hey Orange, it's not personal, we just don't work well together. It's not you, it's me. Because this was a challenging photo for me to work from, I stuck to what I know and like. Is anyone surprised that my bundle is full of blenders and even includes some Painters Canvas? I'm not! I am, however, extremely pleased that I managed to get that Chicopee print in there. Chicopee is one of favorite fabric collections and I'm hoarding it like no one's business. Do you have a collection that you just love? 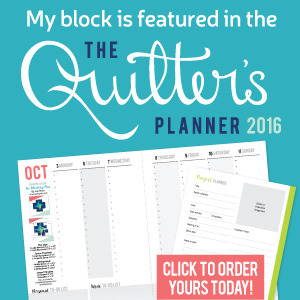 A collection that you can't bear to cut into? LOL- Sorry to make you work so hard for it, but you did a great job! I like the blue/grey combined with the vivid orange! Lol. Thanks! It's good to be challenged! I do enjoy seeing the color play fabric pics. Question: how do you create your palette with picture? Hope that question makes sense. Oh, that is a good question. 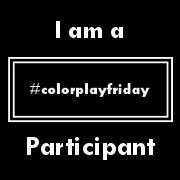 The photo is provided by the hosts of Color Play Friday. I import the photo into Inkscape, a free software program that you can download. In Inkscape I use the color dropper tool to "pick" colors from the photo. I usually pick bunches of different colors and then narrow them down to a decent palette. From there I try to find corresponding fabric to create a bundle. 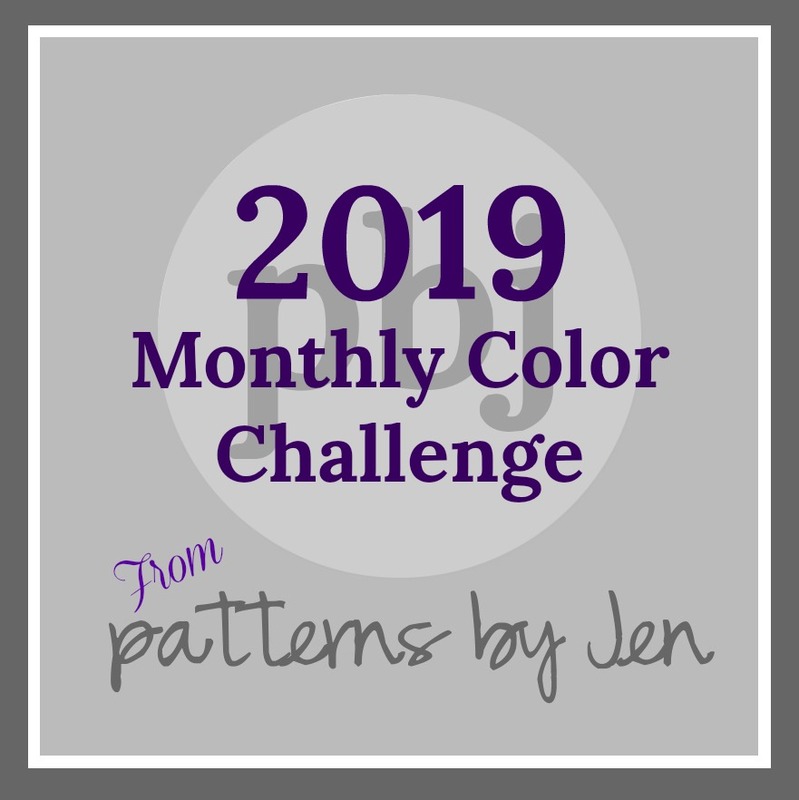 I am so enjoying seeing your color plays! I can't see that you're not a fan of orange, beautiful selection. Thanks Tish for asking, I was wondering how the colors were created also.